You can tell a lot about a person by their favourite childhood characters. You can tell a lot about a person by their favourite childhood characters. You can figure out which bands they like, what they wanted to be when they grew up, their hopes and their dreams. 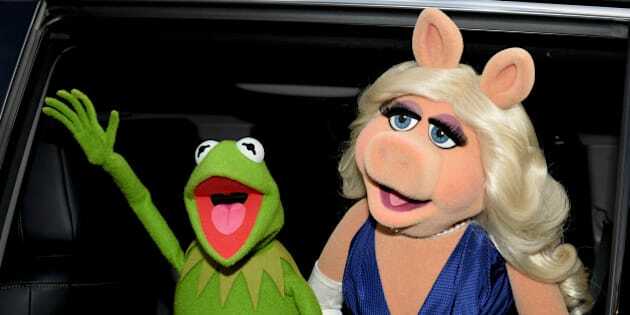 Fortunately, there's one franchise that covers off every personality we could hope to convey, which is why we've taken a look at 21 popular Muppet characters to determine exactly what each says about the people who call them their favourites. These Muppets run the gamut from the frightening to the frazzled, from the diva to the dumb. And there's something to love about every single one of them. You're a great guitar player (or at least would like to be) with a deep knowledge of music, and you always keep up on the hottest new bands. People love to discuss music and pop culture with you. You are one chill Muppet. You're tall and intimidating. You don't make the best first impression, but as people come to know you, they realize you're just a big, soft teddy bear. Or whatever you are. You're everyone's worst critic, except your own. You know the best way to cope with life's difficulties is by laughing at someone else's expense. You keep a partner around, if only to mask a gaping absence in your love life. You'd deliver a great Friars Club roast, but we're not sure how well you'd take one about yourself. No one really remembers Clifford (he was the host of "Muppets Tonight"). If he's your favourite, then you're the kind of person who makes obscure cultural references that no one else understands. The world is going to Hell in a handbasket, and only you can stop the downward spiral. You respect the Supreme Court of the United States, until it makes a decision you disagree with. Then they're just a bunch of judicial activists. Your favourite character in "Fast Times at Ridgemont High" is Mr. Hand, the teacher convinced that everyone is on dope. Which they are. You're not one for laughs, but when you do want a chuckle, you prefer Garrison Keillor. You were hired for your job because of family connections, but you're determined to prove otherwise. You're a hard-working, devoted employee who excels in a supporting role. You know precisely when cues are coming up and when the stars have to hit the stage. You're also whip-smart: you know how to cover up your mistakes and stay out of trouble. Over time, your co-workers warm to you, and fail to see the missteps you made on your way here. No one understands a thing you say... and that's okay with you. You make dishes the way you want to, with utensils such as guns, tennis rackets and hockey sticks. You speak the recipe as you prepare a meal, but no one picks it up... all the better to keep it a secret. You're the smartest one in the room — and that's key to covering up your ineptitude. You only want to see knowledge progress, but you do it through crazy inventions like exploding clothes or a gorilla detector. And they don't always work the way they're supposed to. And although you're very nice, you're not very self-aware. You fail to see your experiments have turned your assistant into a jittery, paranoid mess. You think that taking a job as an assistant with a renowned scientist is going to help you in life. You may be right, but you also know his reputation is just a smokescreen for incompetence. His experiments have harmed you on many occasions. But you're also very loyal. No matter how often your boss fouls up, you know he has the best intentions and you always go back to him. You're an entertainer with an encyclopedic knowledge of music. You can play a song the way it's meant to be played, or you can alter the tempo on a whim, and not miss a beat. You walk with a hunch, and every word coming out of your mouth is sarcastic. That's how you survived growing up in the mean sewers of New York. But all that belies a gentle soul who is a loyal friend to those closest to him. You may look like many of your kind, but you know how to stand out. Others can't tell you apart until you start performing in front of a live audience. You have a, shall we say, INTERESTING choice of romantic partner. You're cute. Like, insanely cute. You don't like being yelled at because you're scared of loud noises. And as adorable as you are, bad things seem to happen to you all the time. You need to learn a little self defense because your cuteness can't protect you forever. You're the id to everyone's ego, the Hyde to everybody's Jekyll. People pretend you're crazy, but deep down they all know they're capable of the crazy antics that only you have the nerve to carry out. Like shooting Animal through a roof. Or interrupting a love song with a series of explosions. You're really nice, but you have a habit of associating with the wrong people. You become a sidekick to evil, doing their bidding as they demand, albeit ineptly. And it tears you up inside. Every once in a while, you work up the nerve to do the right thing. But it takes a while. You're not much for talking, but you express yourself perfectly through loud noises. Your musical aptitude on the drums show you for the maniacal, loopy, destructive, yet endlessly entertaining force that you really are. You're likely a huge fan of The Who ... Keith Moon, specifically. You're the weirdo. The wild card. People just don't GET you. You'll go to great lengths just to entertain you friends, like eating a rubber tire or being shot with a cannon. And nothing would ever be the same without you. Sing like no one's listening. Love like you've never been hurt. Joke like no one's laughing! That's you, a comedian who won't let an unimpressed audience bring you down. You know you're talented, you know you were born for this. And you know that somewhere, someone is laughing at your lame jokes. You're the star of the show; it lives and dies with you. You're in your place on the stage, entertaining thousands of fans. And you'll lose your mind if one of them is checking his cell phone. Millions of fans are in love with you. So why is that frog so darned aloof? You're the straight man in a Monty Python sketch; everyone around you is crazy. You have a set way of doing things and you become nervous when events deviate from it. You know how to put on a great show, but sometimes your coworkers' loopy ideas make it better. Sometimes. You'll take them when nothing else will suffice. You love them all to bits, despite how much they complicate your life. And they love you right back.